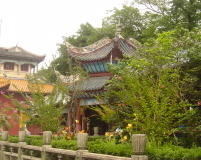 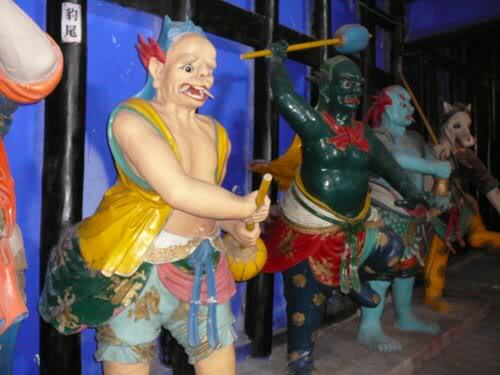 Our cruise of the river Yangtze included a side trip to Fengdu, the Ghost City, which is scattered with temples, shrines and statues of wicked demons. 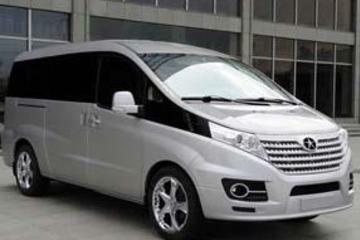 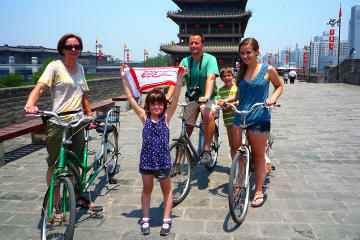 This was our first stop after we left the hustle and bustle of Chongqing. 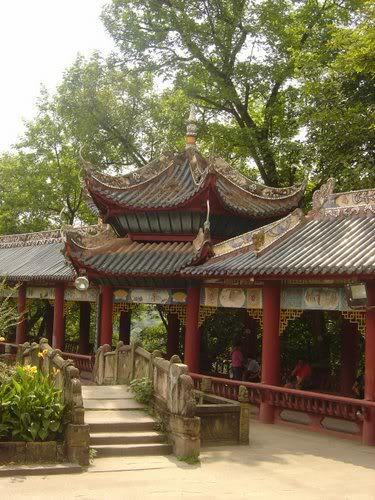 Its a short climb to the top of the hill where the temples are, but if you prefer, there is a cable car that will zip you there in minutes. 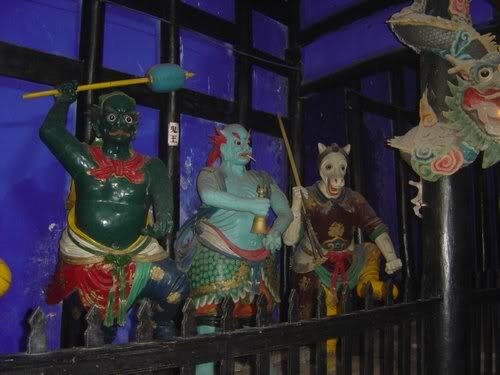 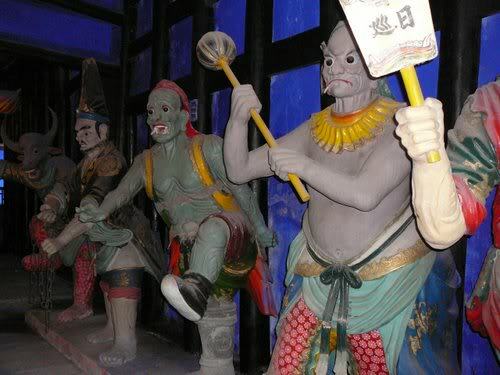 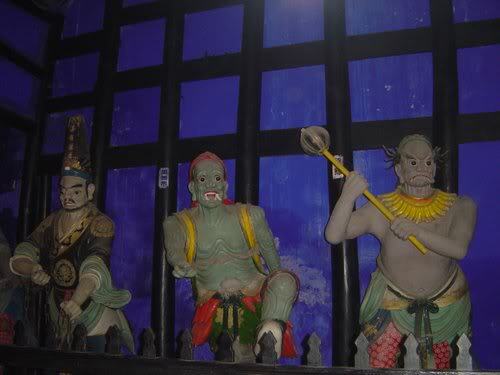 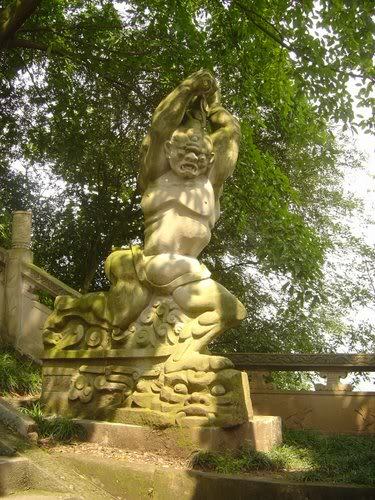 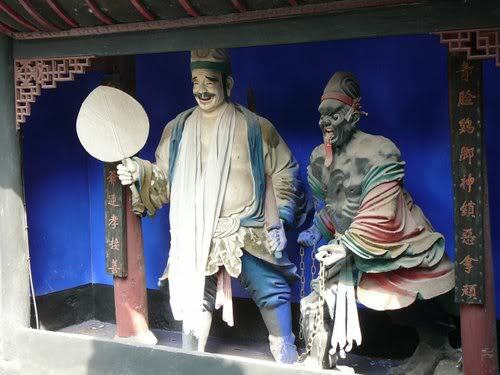 At the temples, with evil names such as Palace of the King of Hell and the like, there are tons of sculptures of demons and assorted wicked beings. 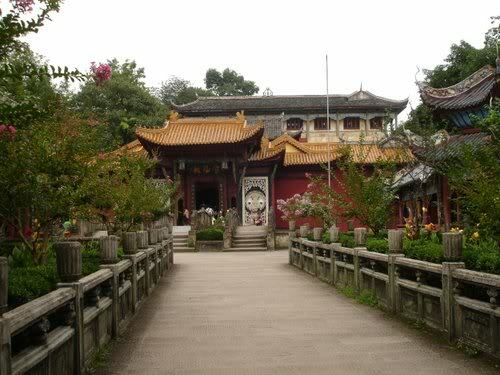 What was so amazing about this place, was the fact that the entire complex of more than 70 temples that had been built over the years in Mingshan hill, had been moved to the opposite shore to higher grounds, yes, brick by brick, due to the filling of the Three Gorges Dam, which we visited the last day of our cruise. 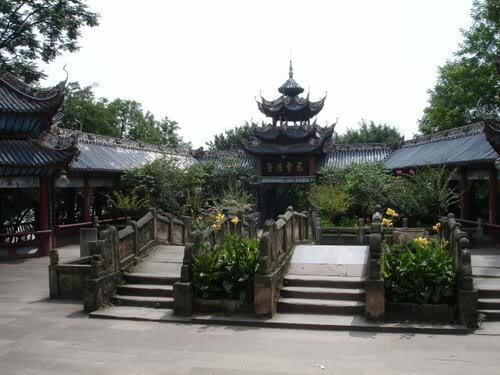 Mingshan hill is now inundated and is just a "river bank". 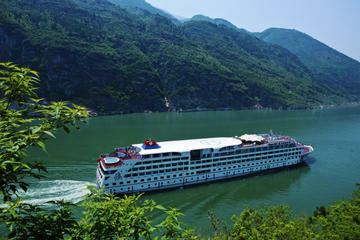 You can follow the course of the cruise in this Map of the Yangtze River as we started downstream from Chongqing to Yichang.